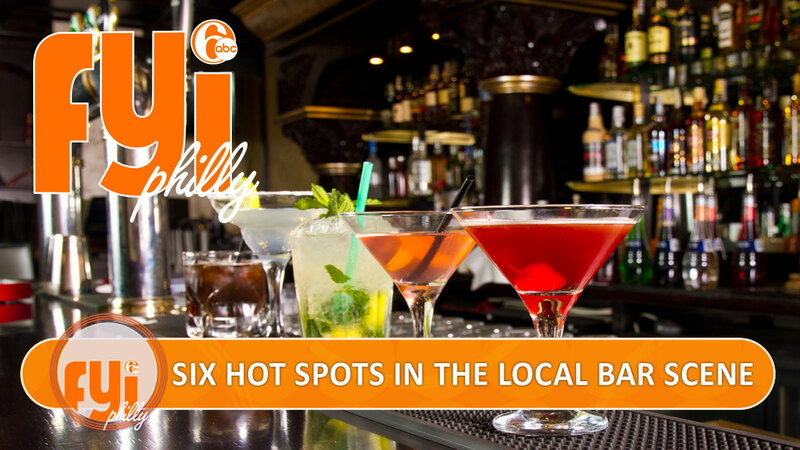 So far in 2017, FYI Philly has taken viewers to an array of bars, gastro pubs, lounges and other local watering holes. With the weekend coming up, we cherry picked some of our favorites in this handy weekend cheat sheet to offer up some trendy options for drinkers of all tastes. The beats and drinks don't stop at NOTO. The Vine St. nightclub features three bars, a revolving host of big-name DJs and the promise to deliver a Vegas vibe to Philly. This members-only Italian social club features cocktails named for its original owners: Try the Dicicco, an Olive Oil Martini made with Ketel One. This South Street venue boasts a massive and nearly unparalleled list of 347 bottles and a cocktail program headlined by its "East meets West" bourbon-coconut water concoction. Cuban-inspired restaurant and bar features 75 different rums with five unique rum flights. The rum-infused mojito is a must-try. Home to award-winning Bluecoat Gin and other premium spirits as well as one of the comfiest lounge areas you'll ever sit in. Microbrew fans can get their fix with house favorites such as Devil's Pool IPA, Czech Please Pilsner and Teedyuscung Session IPA. Make sure to LIKE FYI Philly on Facebook and nominate your favorite venue to be on one of our upcoming episodes.